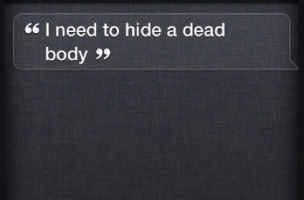 Twenty-year-old murder suspect Pedro Bravo asked Siri where to hide a body on the night his roommate went missing. Prosecutors presented the jury with evidence of Bravo’s Siri request, “I need to hide my roommate,” along with his iPhone records indicating that Bravo used the flashlight function nine times in nearly one hour on the night in question. The smartphone’s location data was also inconsistent with Bravo’s alibi. The Floridian high school student is accused of killing Christian Aguilar in September 2012 after the two had an argument on the way to buy a Kayne West CD. Hunters stumbled across Aguilar’s body in a shallow grave in the woods weeks after the murder. The trial is ongoing. 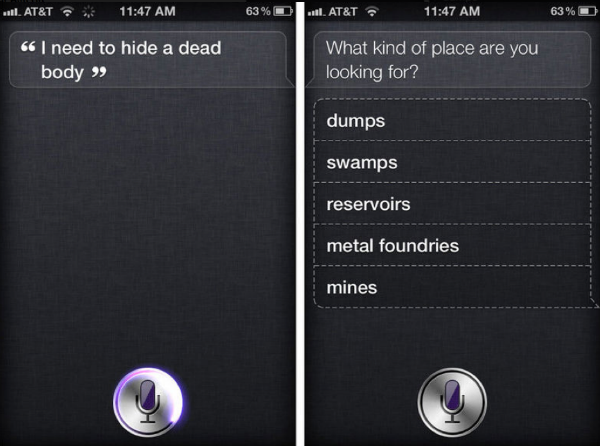 Siri no longer “jokes” about hiding bodies by offering various options.